Marygreen Manor Hotel is the perfect venue for any special occasion and also offers a variety of accommodation from luxurious 4 Poster Tudor Suites to Delightful Courtyard Garden Rooms. We believe in offering a quality service that will exceed the expectations of even the most discerning guest. As you leave at the end of your stay, we want you to be looking forward to coming back. This is not rocket science really, just our belief in doing the simple things well, the less simple things even better and always making every effort to go the extra mile in making our guests feel welcome. 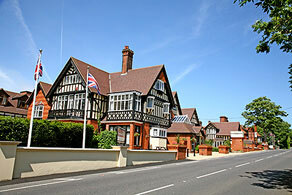 From intimate services to lavish receptions for 800, Chigwell Hall is the perfect setting for your special day. We will ensure you and your guests have countless happy memories to cherish for years to come. Our dedicated Banqueting Co-ordinator and professional staff will be on hand from start to finish, making sure your Wedding Day is exactly how you want it to be. Greenwoods Hotel Spa and Retreat is a beautiful 17th Century, Grade II listed manor house set in extensive landscaped gardens. Greenwoods offers a magnificent venue, some of the best catering in East Anglia and a level of staff commitment which will guarantee the smooth running of your most important day. Suitable for Civil Ceremonies Weddings, Anniversary's or Christenings. An established suite, designed with facilities to meet your every need for entertaining friends and guests at your Wedding Breakfast and Reception. Our Aim is to regard each wedding as an entirely individual event and therefore your own personal requirements and catering requests are carefully thought out and personally designed to reflect your needs and budgets. We have a vast selection of balloons which are always altering with new designs and ideas from our team of qualified balloon artists who are regularly sent on training courses to develop and maintain their techniques. We welcome new ideas and challenges from our customers and are happy to accommodate any themes required for any occasion. 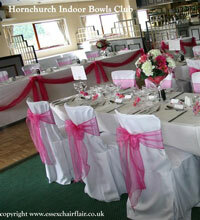 - Everything for your party under one roof; Q.B.N., C.B.A., City & Guilds diploma's & Qualatex & N.A.B.A.S approved. Personalised banners and photos printed on balloons in 24 hours. Gift or personalised bouquet of balloons made while you wait. Delivery service available. Our aim is to provide the best food and service possible, to ensure that your function runs successfully and exactly as you would wish it to. Magpie Catering offer an extensive range of outside catering services for every occasion and have been recognised throughout the South East for our outstanding food and professional service since 1985. We offer a wide range of competitively priced hot or cold food menus to match your occasion, your guests and your venue. First class Buffets, Canapés, Bowl Food, BBQ's, Seated Meals and Private Fine Dining, Weddings, Seated Meals, Business Lunches, Corporate Events and Conferences, Receptions, Birthday and Anniversary Parties, Funerals, Christenings, Reunions, Graduation and Celebrations are provided for a host of occasions, large or small. Welcome to the world of wedding entertainment, for professional Disco and Magic entertainment Essex, North London, Hertfordshire, Kent, Suffolk, Hendon, Hampstead, and Radlett. Our Discos and Magicians offer a ultimate wedding experience for all your party needs. Please bear with us while work is in progress to update this page. Wedding Dresses from world designers. Bridesmaids, Prom Dresses & Menswear. When you are looking for that extra special something.a simple gesture can speak a thousand words. Surrey, Norfolk, Cambridgeshire and more. Wedding Toastmaster & Master of Ceremonies. with thousands of listings nationwide. Search by County or Category, from Avon to Wiltshire and Accessories to wine and Champagne! The Wedding Warehouse sells great products for weddings, parties and crafts.